As a startup CEO, you want to climb the success ladder as far as you can. But there’s always something in the way. It’s crucial for you to use solutions that help you improve sales and increase revenue. When you choose the right payment gateway for your startup’s website, you will see the difference. You don’t have to be like this other CEO’s that make lots of mistakes. Learn from the best, avoid mistakes when possible, and move your startup in the right direction. I know every startup is looking for the most innovative solution. I’ve been watching the market closely for years and asked online businesses about their problems with payments. The most common responses included the payment process is too complicated, the time-consuming integration process, badly-designed checkout and redirecting customers to the payment pages. Do you know all these things result in the loss of customers? That’s why we maintain our focus on providing the best technology with your needs in mind. Let’s talk about the biggest obstacles you can overcome by choosing the best payment solution for your startup. Startups often face problems with 3rd party components and integrations. Especially when they don’t have access to all the documentation and can’t control the processes in real-time. It’s difficult to guess how these components scale and how it will work for you in the future. If you want to grow quickly, you need to find a solution that gives you control over the code and all the events that take place. Every business in its early phase doesn’t have time or money for long integrations and costly solutions. When you’re looking for a payment provider you have to focus on the ease of integration. All you need is everything developers love – documentation, code samples, examples and more. I was constantly analyzing the payment market and noticed online business owners struggling with implementations. That’s why SecurionPay focuses on simplicity and making complicated technology so easy, even non-technical people can use it. It’s made possible with a flexible, robust API and our one-of-a-kind drag and drop implementation technology. As a startup CEO, I know online business owners don’t have time for unexpected errors or complications that lead to loss of customers. You need control over every process in your company. You also need real-time notifications when something goes wrong. Avoid having limited access to your API and don’t let yourself receive delayed error notifications. For most startups, building a strong brand is one of the biggest challenges. When you choose a new solution, it could be hard to start your work the way you like. The never ending compliance process, PCI requirements and general onboarding issues can harm your business and your revenue. Choosing the right payment provider, lets you forget all the time-consuming issues. It allows you to focus on the marketing aspects of growing your business. Every day new players appear on the payment market. You have many integration options to consider, but if you choose wrong, it could hurt your conversion. Read on to find out why. Cross-selling is a method known for its great results, increasing sales and is used by many companies successfully. Why couldn’t you use it to increase your revenue? Having analyzed how people like to pay, we’ve made a user-friendly solution that is easy for both online businesses and customers to use. You can start processing payments quickly, without weeks spent on formalities. The nature of startups is going global. And you, as a startup CEO, have probably the same goal. When you’re looking for a payment solution, choose one that lets you accept payments in lots of currencies. Furthermore, find a payment gateway with multi-language payments. For instance, our Checkout has been translated into 23 languages and provides an automatic translation that recognizes the customer’s country. Simple and easy. We also work with an acquirer respected all over the world. You can be sure you’re collaborating with a recognizable brand. We are a Swiss-based company so you can trust us with your payments’ safety and security because they are protected by very strict Swiss laws. One of the biggest challenges is to deliver a product or service that meets customers’ needs better than any other company. For this purpose, you need a payment solution built with customers’ purchasing flow in mind. We’ve studied many scenarios and found the way people want to pay. That’s why we put convenience and simplicity first. For both our clients and their customers. SecurionPay is a part of the Swiss startup scene so we know a lot about payments and banking issues. Switzerland is also one of the world’s most innovative countries, so we are constantly looking for new technologies. You can’t forget about your clients. No matter how awesome your product is or in how many countries you run your service. Without their trust, you will not get far. Satisfied customers are the real force behind your success. When you get those, you can scale and make your business grow. Providing a high-quality service and implementing customer-friendly solutions can make you achieve that goal faster. Choosing a solution like ours, with traditional Swiss values in mind, you can provide the highest quality products to your target audience. Credibility is what you need to make your business grow. That’s why working with trusted partners is important. This is something that many startups don’t even think of unless they encounter security issues or need to deal with cyber-attacks. When it comes to payments on your website, you can’t afford to have a solution with a low-security level. Fraudulent transactions and the theft of customer’s data is a risk for every startup that processes payments. You obviously want to avoid this scenario. When you run an online business, you need to be 100% sure that your company and customer’s data are secure. To mitigate the risk, find a payment gateway with highly-effective anti-fraud tools. Also, ask for a fraud management system, tokenization, 3d secure and other features that can improve the level of security. Doing business online today has to include mobile solutions. The number of mobile users is growing rapidly so you need to be where your customers are. People have their devices with them all the time. They can pay for anything they want on the go. The most competitive startups offer convenient solutions with customers’ needs in mind. And they are prepared for mobile market growth. Pick a payment solution that’s also built for mobile devices, with all the features you need. Enable customers to pay simply and conveniently to make the entire purchasing process fast and easy. When you choose SecurionPay’s solution, you will provide mobile customers with a well-designed payment form that only has essential form fields. Payments show up as a whole screen overlay so users don’t have to resize it manually. Running out of cash is one of the major problems startups face. It’s not that easy to acquire customers. You have to do everything to give them the best service possible to keep them for years. The last thing you need is to be losing money. From watching our clients’ performance, I’ve seen how changing the payment solution can make a big difference. 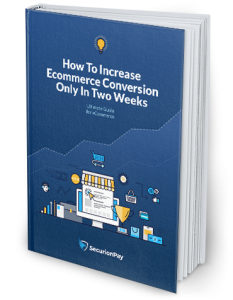 For example, when changing payments with redirection to Checkout, they can see conversion increase by an average of 12%. It all depends on how their payment page is designed. Yet, clients who changed iframe-based payments to our Custom Form, noticed an average 5% conversion increase. We focus on the ease, speed, and user-friendliness of a payment solution with no hassle while giving clients the best service they deserve. Startup founders know there’s never enough time. They can’t afford the solution with a costly integration process, long onboarding, and other distractions. There are always decisions to make and a million things to do. Why would you choose a payment solution that requires your constant attention? Jumping from the bottom to the top could take years but when you choose best, it could be faster than you think. The point is to find a payment gateway that will be a payment provider but also a payment partner. No one ever said it was going to be easy but when you have the option to choose a better solution, grasp the nettle! Don’t waste your startup’s potential because of a wrong decision you could’ve easily avoided. Gain The Customer’s Trust With PCI Compliance What Is an Issuing Bank? Whаt iѕ PCI Compliance?